CornerPay.NET sets a new standard throughout the credit card processing industry. We offer the most advanced features, highest level of security and the lowest possible rates. Our Virtual Gateway allows your business to process transactions anywhere in the world from web-enabled devices and supports a variety of payment methods, including credit cards, debit cards, and ACH transactions. Cornerstone simplifies the merchant account process for you. By closely and personally working with you, we figure out what will work best for your business. Your account executive will be with you every step of the way, from initial inquiry to first credit card swipe and for a long as you’re processing with Cornerstone. 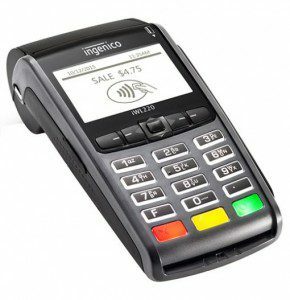 Cornerstone offers an array of POS credit card terminals, restaurant POS systems and retail POS equipment. We’re also an authorized reseller of Clover® swipers. From Apple Pay® to a basic keyed-in entry unit we have something for every business type. From terminal processing, to mobile, POS and online, we have you covered every step of the way. We offer the lowest rates and there are never hidden fees. Credit or debit card payments made by iPhone, iPad, tablet or other mobile devices are easy with Cornerstone mobile payment processing. We deliver for you, wherever you are, from farmer’s market to sports venue, just swipe and go with all the secure data transmission and fraud alerts as traditional processing offers. The CornerPay.NET Mobile application allows you to expand your business and revenues because you’ll be able to process all major credit cards and signature debit cards. Plus, you can keep track of your sales with robust cloud-based, real-time reporting. Security is absolutely essential in all electronic transaction processing. Cornerstone is proud of our reputation to protect you and your customers from identity theft and credit card fraud. We take every precaution to ensure your processing is not compromised and stay current and compliant with all regulations. Payment Card Industry (PCI) rules and regulations were created to help secure the credit card industry from identity theft, credit card fraud and provide heightened security measures. These security measures not only protect and benefit the customer, but you as well. VISA®, MASTERCARD®, DISCOVER®, AMERICAN EXPRESS® and JCB® appointed a separate team of experts known as the PCI Security Counsel to operate and carry out these advances in security and protection. The PCI Security Counsel strives in an ongoing pursuit to try to stay one step ahead of the criminals. If you’re asking the question, “Does PCI apply to me?” We offer a simple answer:“If your business has ever had a customer pay by credit or debit cards, then PCI rules and regulations do apply to you and your business. Cornerstone Merchant Services, Inc. is a leader in PCI Compliancy education and training. We can handle any of your questions and concerns. CornerPay.NET also includes security features like Merchant Guard, which eliminates clear text credit card and payment information; Customer Guard that addresses security concerns about handing customer payment information; 3-Step Redirect API, which ensure secure data transmission by keeping your business from seeing, touching, handling, transmitting and storing sensitive payment information; and Virtual Terminal, a program that enable business to process card-present transactions using any terminal. Contact us to learn more so you can keep your focus on more important matters with your business. With Cornerstone‘s PCI Compliance guarantee, you and your company are in the professional care of a nationally accredited and certified merchant service provider. Cornerstone Merchant Services understands the importance of obtaining credit card and payment data for reconciliation. We offer several robust management and reporting tools to keep credit card payment data and transactional data at a finger’s distance. From predictive analytics to downloadable monthly statements, Cornerstone has the management tools to keep your business on track. Download CSV and Excel Reports – Now Available! Cornerstone provides integrated options that reduce the headaches, costs and complexity of credit card processing and the financial services that accompany those transactions. You won’t be scratching your head about what to do because we’ll give you simple choices that make sense for your business. Whether you need credit or debit card processing, check guarantees, ACH services, point of sales systems, EMV technology or more, we’ll make sure you have what you need. Whatever your business size or type, we have the expertise and experience to get the job done. 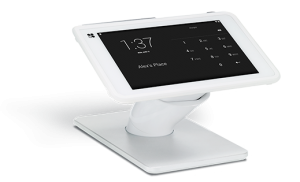 Cornerstone offers cutting-edge technology and the latest in credit card terminals and All-in-One POS machines. We accept credit card payments faster and with fewer demands on your business. Our in-house accountants make sure you always get the best possible rates. Plus, there are no hidden fees and no annual renewal fees. We are the leader in PCI compliance, protecting your business and customers from credit card fraud and identity theft. save $$...Not worth it when you got a good thing going already!